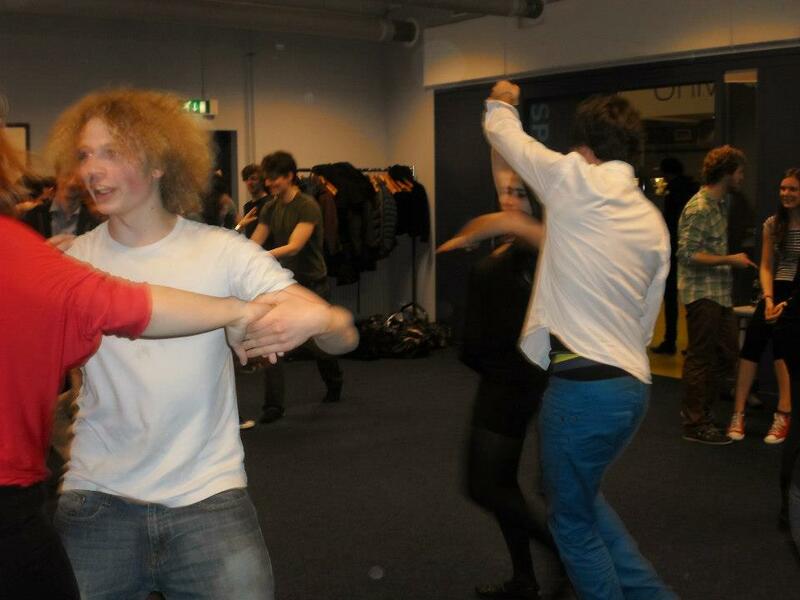 Having lived in the Netherlands for 2 years now, I have danced at Einstein’s quite a few times and I believe I have gained quite a good impression about the dance style in Leiden: namely, that there does not seem to be one. 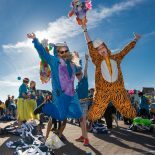 As I love to dance and spin around on dance floors I have to admit that this shyness that seems to occupy many Dutch people confused me a lot. What is the point of a dance floor when nobody is dancing, I asked myself various times whilst spending a night out in the common locations in Leiden. 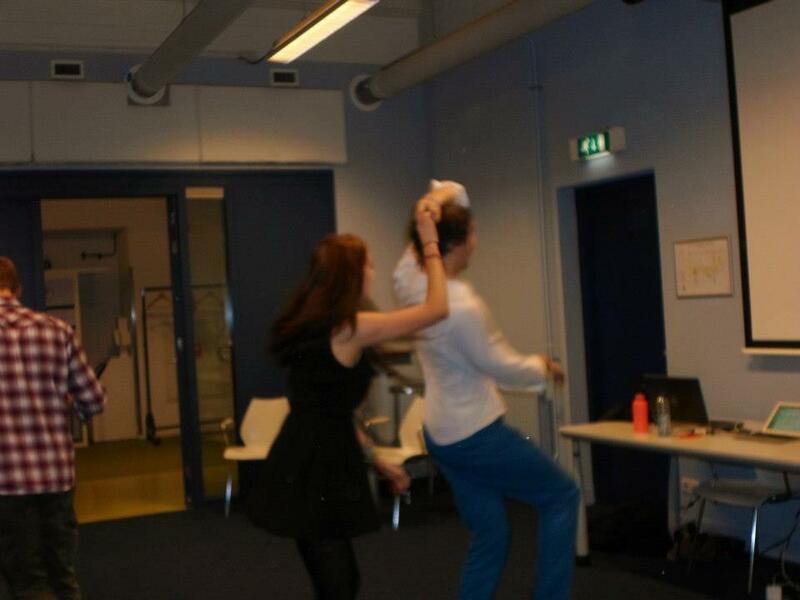 Though I tried to adapt to this apparently typical Dutch dance behavior, I quickly gave up the idea to fit in and started spinning around again, and encouraged my friends to join. Though we think of ourselves as masters in imitating traditional dance moves, especially when one or two glasses of wine are involved, out of a sober point of view, I have to admit that this does not look professional at all. Luckily, my friend Nico was a professional dancer before he came here and tried various times to spread the good old traditional dancing among us by encouraging us to go with him to swing dance events in Amsterdam. But this semester, we were even luckier: Nienke, a lovely American swing dancer arrived and the perfect dance teacher pair was formed. 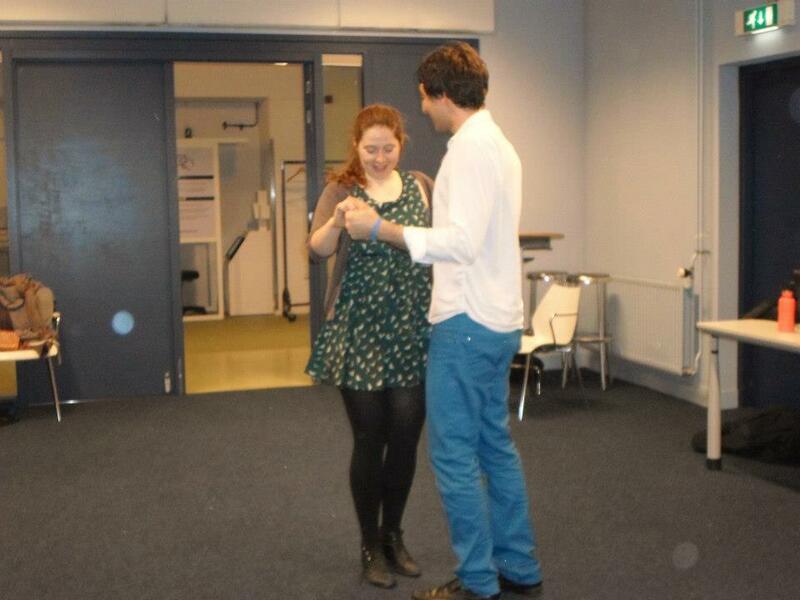 Last Monday, Nienke and Nico organized the first session of their swing dance lessons. I was pleasantly surprised about the enthusiasm for dancing — 45 people joined the Facebook event and I have the impression that most of them actually came. Especially the male participation surprised me a lot, as we almost managed to find a partner for every girl. The first hour we learned the standard steps. We rotated partners after every new learned step which brought a new dynamic in the event and helped me get to know new people too. The second hour was meant to practice what we had just learned, which was great fun as well, though it was hard keep following the actual dance steps and not get carried away and go back to our experimental free style imitation of what we think is supposed to be swing dance. Thanks once again, Nienke and Nico, for your enthusiasm. 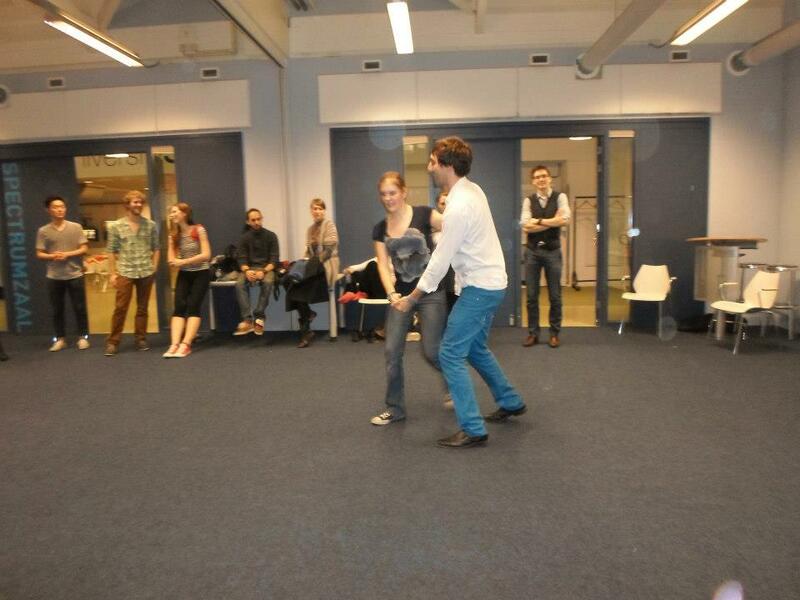 I really enjoyed the evening and I can’t wait for the next events and to show what I have learned at an actual swing dance event in Amsterdam one day. I will also keep you posted about future events. Hope to see many of you tonight! 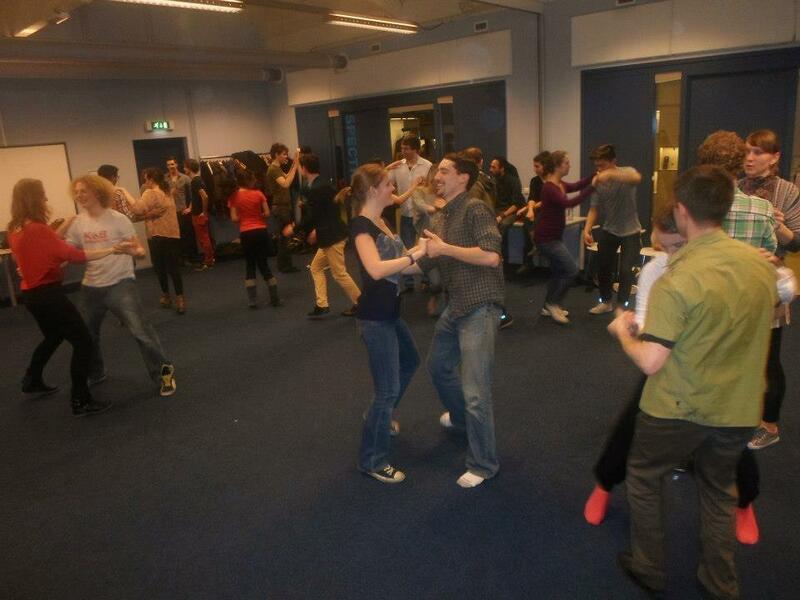 This entry was posted on March 14, 2013 by admin@theleidener in Culture, ISN, Katharina and tagged Dance Lessons, International Students Leiden, ISN, Swing Dance Leiden.